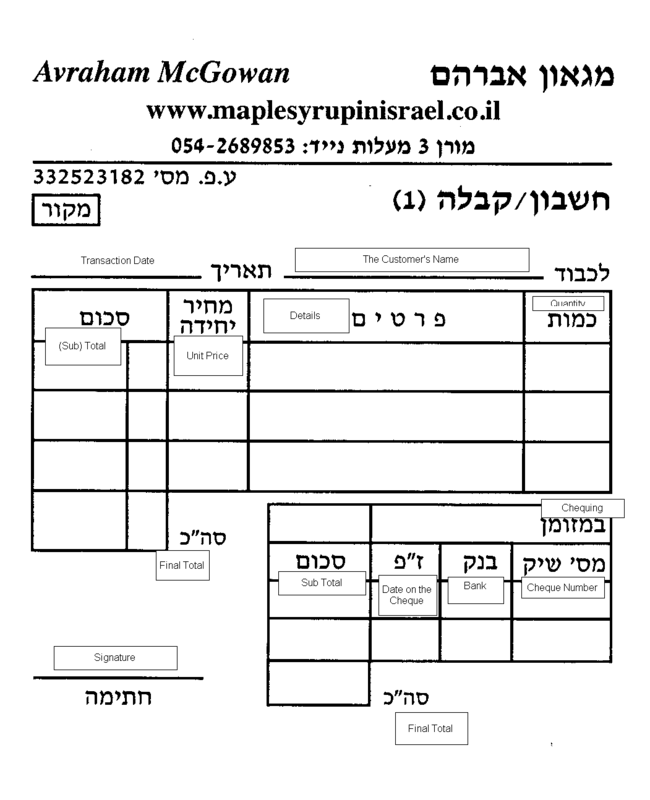 Got our Receipt Book the other day- an important prerequisite to being in business- and we were reminded of just how difficult Hebrew can be for the newly arrived. Or the not-so-newly arrived but who are dense-as-a-cement-brick-when-it-comes-to-languages. You can place yourselves into whichever group you like. As a “customer service” for the linguistically challenged, we are publishing a sample of our receipt with some handy English translation. This way, when you order a MILLION bottles of syrup from us, you’ll know what your receipt is saying.